MICRODYN iSep™ 500 ultrafiltration (UF) modules feature a vacuum-driven, backwashable, spiral-wound membrane design to handle high fouling water and wastewater streams. With open feed channels and an integrated tank design, iSep modules can handle significantly higher solids than many standard polymeric UF designs on the market today. 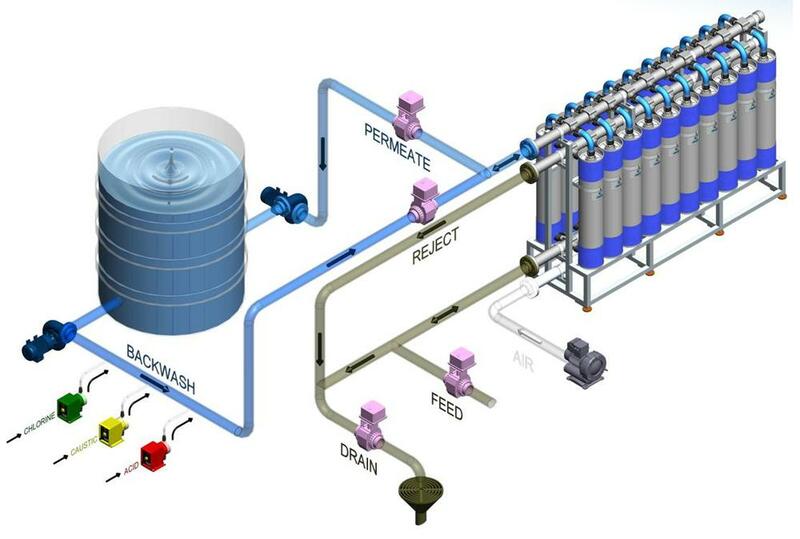 As the latest evolution of the SpiraSep™ product line, iSep modules consistently deliver high-quality permeate regardless of feed conditions with the additional benefits of reduced footprint, higher membrane area, integrated aeration, and the ability to quickly drain solids from the modules between backwashes. Extensive pre-treatment for UF systems, such as clarifiers, adds significant and unnecessary cost, footprint, and complexity. With the ability to directly treat some of the most difficult water and wastewater streams, iSep is able to drastically reduce capital and operational costs while simplifying the overall treatment process. Membrane element and tank have been integrated into a single, encapsulated module eliminating the need for a large process tank. High tank intensity design allows for frequent draining, effectively purging solids from the membrane module resulting in lower fouling. The open flow channels enable aggressive air scouring where bubbles “scrub” the membrane surface clean. 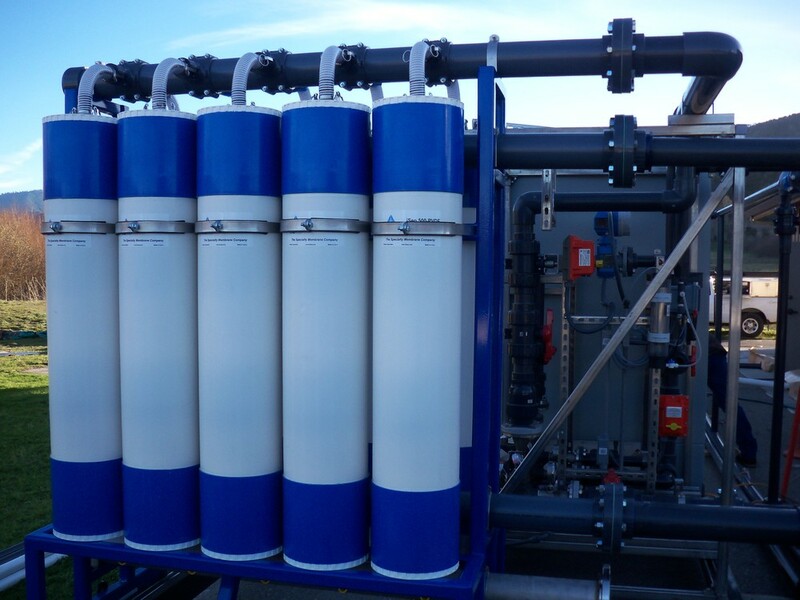 The strong, durable design of the iSep element eliminates mechanical failures, ensuring high quality effluent throughout the life of the membrane system. The hydrophilic 0.03 micron chemistry enhances membrane fouling resistance and permeability characteristics. MICRODYN-NADIR engineers developed a specially formulated, low-fouling membrane chemistry that increases permeability, reduces fouling, and lowers energy consumption. Periodic backwash purges particulate matter from the membrane surface.